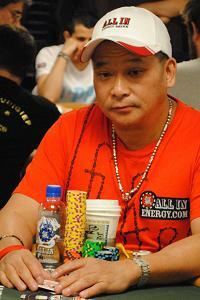 Chan was born in China and has been dubbed one of the best poker players of all time. Johnny became famous in the public eye when he starred in one of the most iconic poker movies, “Rounders”. Born in Guangzhou in 1957, he moved to Hong Kong in 1962 with his family and later on to Phoenix, Arizona. He finally made Houston, Texas his home in 1973 and worked in his family’s restaurant. After hours he would play poker late into the night and learnt all kind of popular variations.